WP-VR-View is a WordPress plugin that allows you to embed 360-degree videos, and photospheres into your site. Once done, you can show your visitors VR elements on desktop as well as on mobile devices. 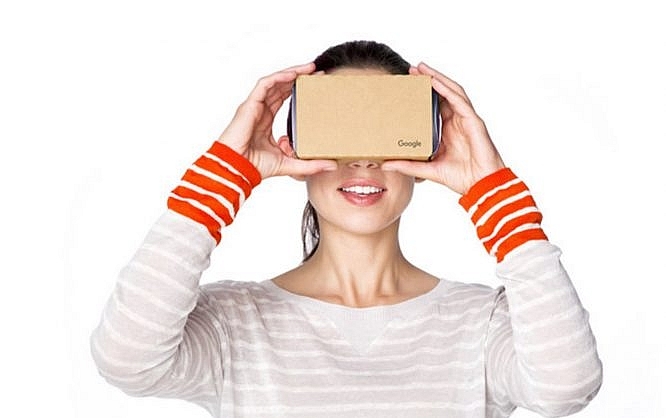 Google’s Cardboard is also supported. WP-VR-View by Alexander Tumanov, a developer from Bishkek in the Kirghizian Republic, is an add-on for the Google library VR View. Thus you can be sure that all sources from the library specification will work as well in WP-VR-View. The integration of photospheres or 360-degree videos is done via shortcode. The plugin takes care of the rest. If you don’t want to, or can’t remember the shortcodes, just use the respective buttons in the visual editor TinyMCE. Clicking one of the two buttons opens a dialogue window that lets you define some basic settings. All that is required is the URL to the VR content. Keep in mind that content that already exists in your media library can not be added as usual. Instead, you have to copy the content URL from your media library and paste it into the options dialog. On the desktop, the content is controlled via mouse. At the bottom right of each element, you’ll find a plus icon that allows you to switch to full-screen mode. To the left, there’s an icon to change to Cardboard mode. This splits the video into two windows, one meant for the left, and one for the right eye, respectively. In Cardboard mode, and generally, when viewing via smartphone, you’re moving within the virtual realities by moving the smartphone itself. Moving the smartphone to the right will make the field of view move accordingly. Aside from the reaction lag, which depends on the performance of the viewer device, this creates the impression of actually looking into a different direction. If you already want to experiment with VR in WordPress, WP-VR-View is the means of choice. The plugin is distributed under GPL as open source. In the WordPress plugin index, the older version 1.6 is provided, while on Github, you’ll already find the recent version 2.1, which Alexander completed only two weeks ago. If you want it to be as simple as possible, install the plugin from the backend via install plugins. Here, type the term wp-vr-view into the search bar, and click enter. In the following search result, click the first plugin in the top left. You’ll see that there are other plugins that also use Google’s library to some extent. However, none of them get close to the number of installations that WP-VR-View has gained already. After you’ve installed, and activated the plugin in version 1.6, simply wait for the update notification to version 2.1.